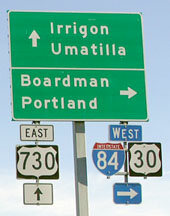 No "End 730" sign at either fork. 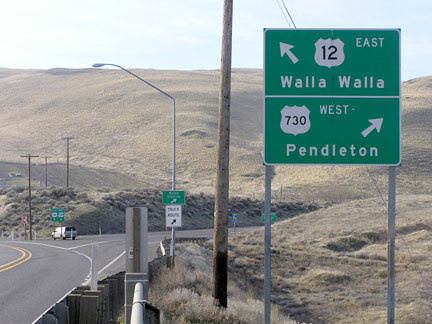 The east end of US 730 will probably be moved again soon, as WSDoT is planning a new alignment for US 12, which will run along the north side of the river in this area. 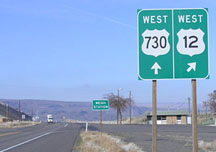 Today that is eastbound US 730 -- the I-82 interchange is visible in the distance, and at the top of the hill on the horizon is where southbound US 395 splits off from US 730. 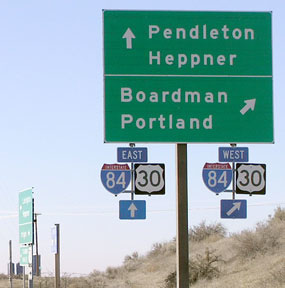 Originally eastbound US 30 came to this point and turned right on River Road, while US 730 began straight ahead. 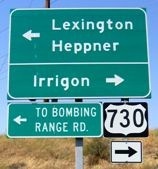 Originally that was westbound US 30. 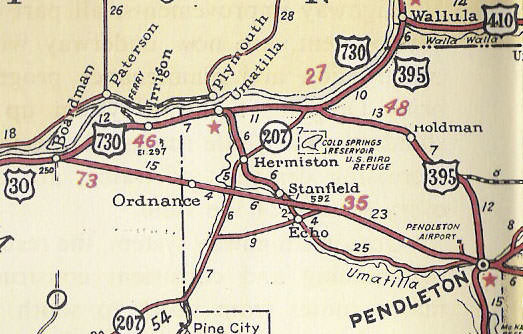 But after 1942, US 30 came in from the left, and US 730 ended there. 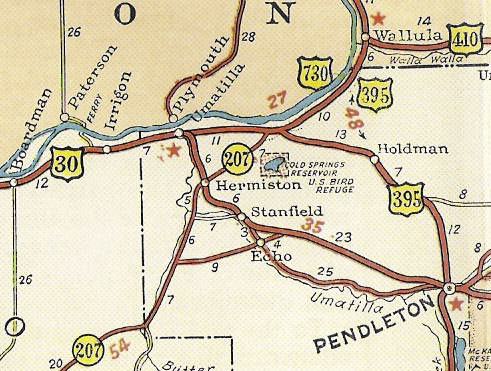 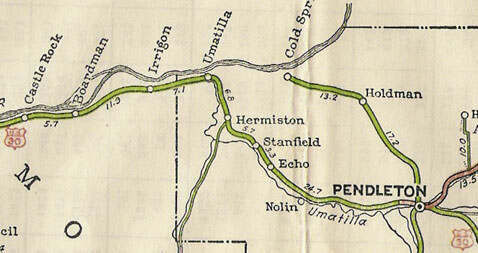 On the 1941 map above, US 395 was shown to follow a different route than it does today. 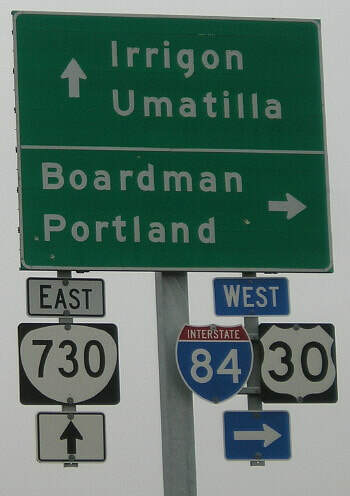 That was actually the case all the way up until 1987 (which is when US 395 was rerouted onto I-82 north of Umatilla). In other words, the entirety of US 730 in Washington (all six miles of it) formerly shared pavement with 395. 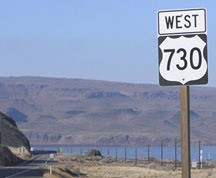 Chris Elbert drove those roads often during the 1980s, and says WSDoT never signed US 730 at all in their state until 1987. 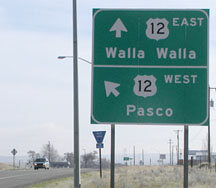 US 395 was always well-signed, but US 730 was never dual-signed with it in WA. 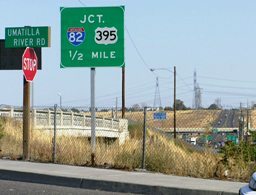 After 395 had been rerouted, WSDoT replaced their 395 signs with 730 signs.